Cheerios make a wonderful treat for all sorts of birds, be it your pet ones or those flying free in the wild. So, making a bird feeder with Cheerios can be a nice idea. Here are some easy yet amazing methods given for making such bird feeders to entice any craft enthusiast. 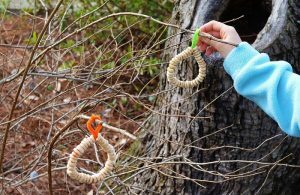 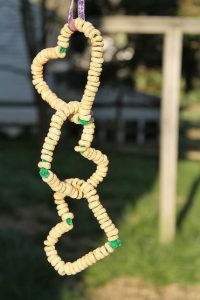 Some colorful pipe cleaners and a handful of cheerios will be enough to make this cute bird feeder. 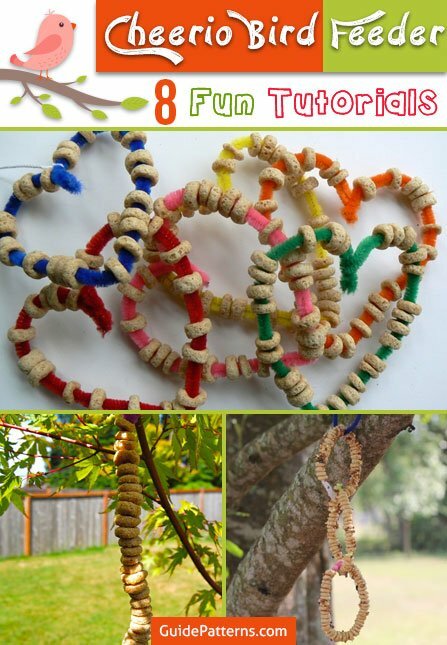 Make them with your kids and have fun together. You may hang them one after another on a string and place it in an exposed area where it is easy for birds to come and have a bite. Use some pipe cleaners to make bird feeders in a cute heart shape. You can hang them separately if you wish or make an overlapping pattern like the following one. Instead of using only Cheerios you can also add some bird seeds for more fun. 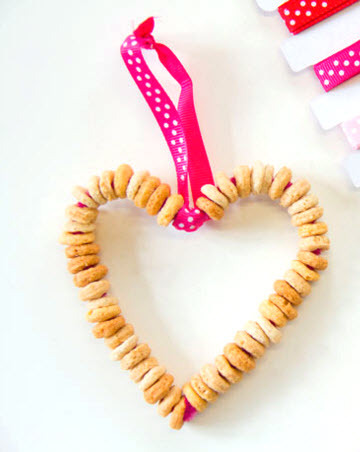 Just brush a regular Cheerio feeder with some honey and sprinkle the seeds so they would stick. 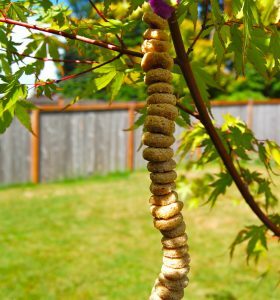 Incorporating a few additional items like wax papers, and cardboard tubes will result into an amazing bird feeder. 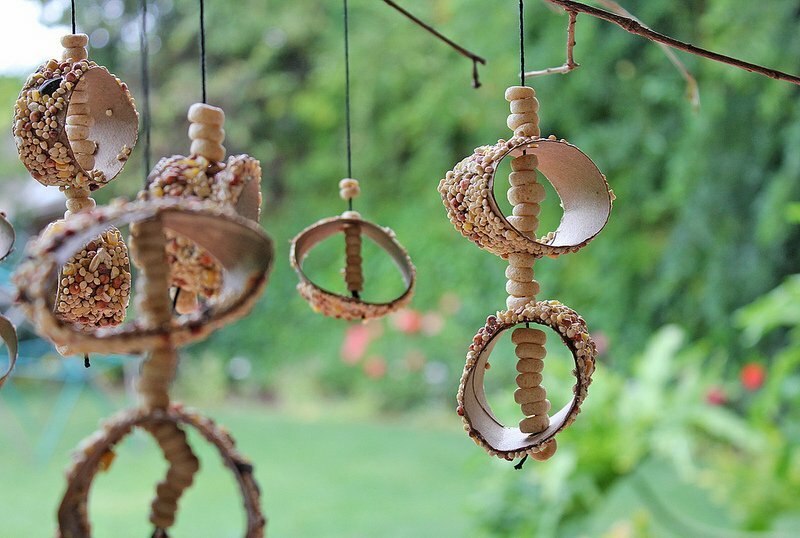 These might be a little different in looks, but so appropriate for those feathered darlings. 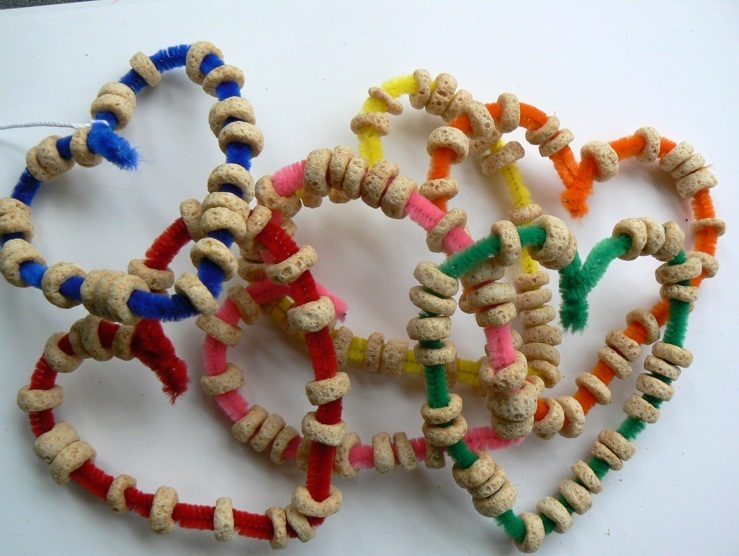 Some Cheerios, ribbons and pipe cleaners can do wonder! 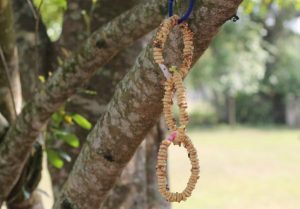 Take a look at the instruction and make a string of Valentine themed feeders to send a message of love to you winged friends. 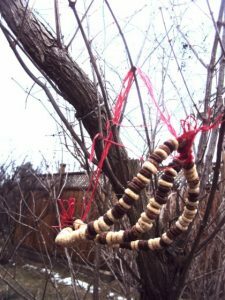 As is the case with any art, thoughts are limitless, and as long as our mind is awake, it never fails to produce unique and creative ideas. How wonderful it would be if we all come together and make more such things to help other living species.